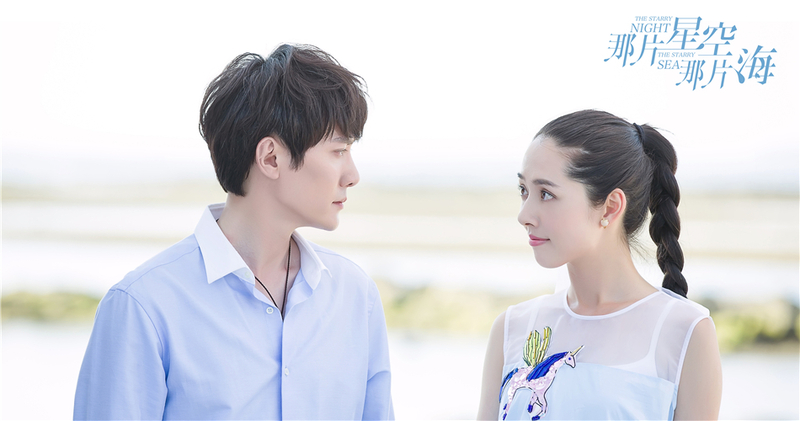 Feng Shaofeng (My Best Friend’s Wedding) plays Wu Julan, a merman who has twice visited the world of humans – once in the year 870 (Tang Dynasty), and then in 1838. He is rescued by Shen Luo’s (Bea Hayden) ancestor after being betrayed by friends, and promises to resurrect one of his descendants should they ever run into trouble. He eventually returns the favour by saving the seven year old Shen Luo from drowning, and later gets romantically entangled with her when he visits the mortal world for the third time. Costars include Huang Ming (The Legend of Flying Daggers) as a genius doctor and Shen Luo’s childhood friend, Wang Mengli (Stay With Me) as a sorceress of the sea, Sunny Wang as An Zuo and Sui Yongliang as the man who has his eyes on Wu Julan’s magical resurrection pearl. Those who are curious about Wu Julan’s first trip to land will have to wait until Season 2, which has already begun filming for a 2018 premiere. Bosco Wong (Two Steps From Heaven) and Ye Qing (Love & Life & Lie) are confirmed to join, though there is no information on their roles just yet. The 32 episode drama is produced by Dream Stardom (Stay With Me, Chronicle of Life) and will air from Sunday to Wednesday on Hunan TV beginning February 6th. This entry was posted in Drama, Mainland China and tagged Bea Hayden, Bosco Wong, Dream Stardom, Feng Shaofeng, Huang Ming, Sui Yongliang, Sunny Wang, The Starry Night The Starry Sea, Wang Mengli, Ye Qing by XDramasX. Bookmark the permalink.